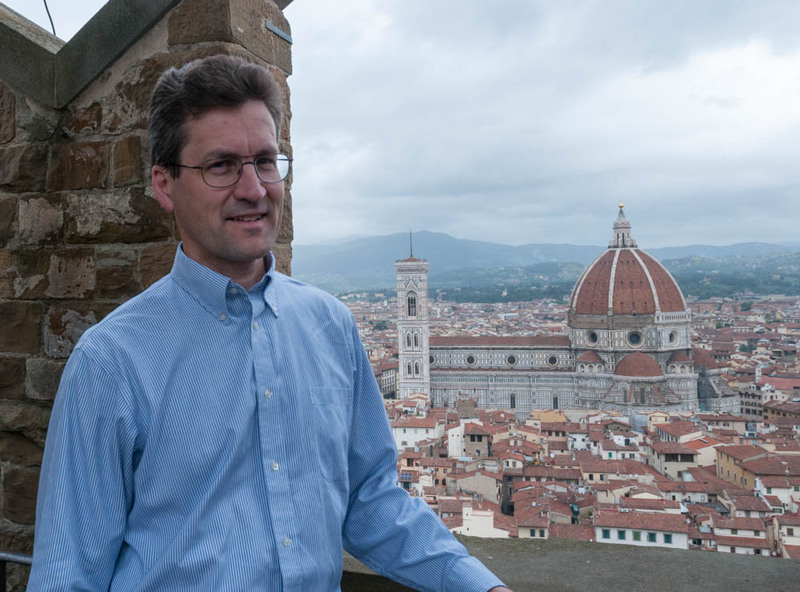 I had the pleasure of visiting Florence, Italy — my first time to this beautiful city. I was there to attend the International Conference on Mobile Systems, Applications, and Services (MobiSys), but built in an extra day for exploring the sights and smells of Florence. The weather was beautiful and sunny, most of the time, leading to many wonderful photographs. Museo di Palazzo Vecchio – with cool archaeological dig showing Roman and other pre-modern foundations below this building, and a climb of its (Torre di Palazzo Vecchio) for grand views. Piazza della Signoria – the plaza outside Palazzo Vecchio, with its own stunning set of sculptures and a crossroads for tourists from all nations. 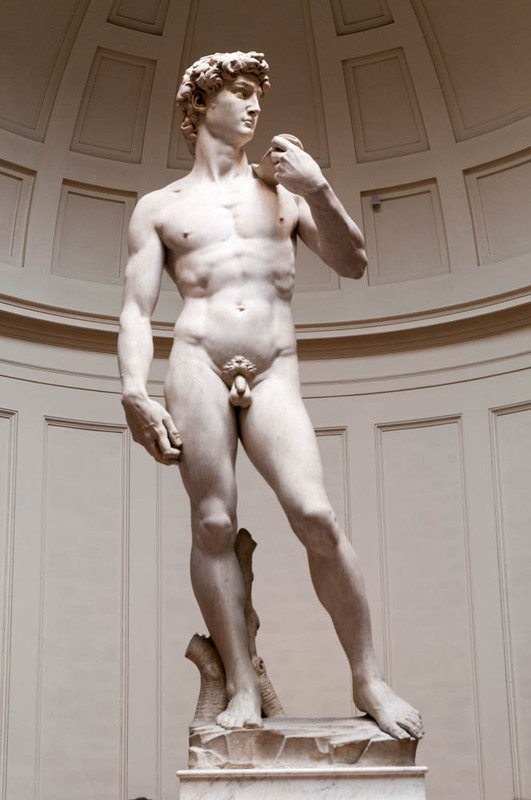 Galleria dell’Accademia – with Michelangelo’s stunning statue of David. Museo Nazionale del Bargello – with some nice Michelangelo sculptures. Galleria degli Uffizi – the largest museum, with an incredible array of artwork and sculpture, too much to absorb in a few hours. Mercato Centrale – packed with a dizzying array of produce, meats, fish, and other delectables. Duomo’s Cupola – with a claustrophobic climb between the interior and exterior layers of the dome and grand scenic views across all of Florence. Duomo’s Campanile di Giotto – a steep climb of the bell-tower next to Duomo, with great views of the Duomo and the whole city. Duomo’s Battistero di San Giovanni – despite being wrapped in scaffolding, the exterior doors and interior artwork are stunning. Basilica of Santa Croce – a grand cathedral with interior memorials to notable scientists like Galileo, Fermi, Marconi, and Leonardo da Vinci… and some lesser-known guys like Michelangelo, Dante, and Machiavelli. Museo Galileo – with incredible scientific instruments and artifacts, including Galileo’s finger. Ponte Vecchio – a bridge with gold and jewelry shops cantilevered off either side and hundreds of pedestrians strolling up the middle. Forte Belvedere – with great sunset views of the city from across the River Arno. Fortezza da Basso – the largest fortress in the city and now the site of a conference center where MobiSys and WWW were being held. 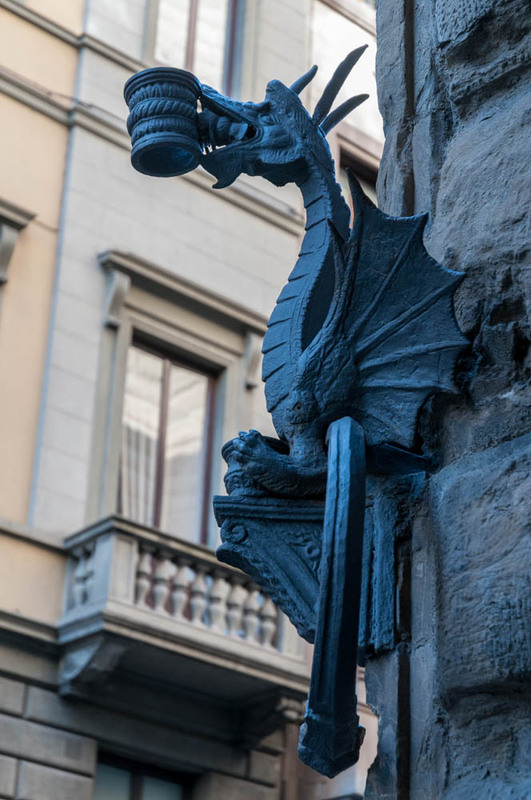 A particularly decorative lantern-holder on Via de Tornabuoni. There were thousands of other tourists (mostly American college students beginning their summer travel); long lines and crowded museums seemed inevitable. I purchased the Firenze Card – 72 euros for 72 hours of free access to nearly all the important sites and museums in Florence. Totally worthwhile if you’re going to visit more than two or three museums. Plus, the card gives you priority entry – meaning you might wait only 5-30 minutes in line instead of two hours! Although I took over 700 photos, most are of famous pieces of art you’ve already seen; so my photo gallery tries to explore the little things and capture the scenic views from the towers I climbed. I was also able to enjoy dining in several wonderful restaurants – mostly little Trattoria with delightful pasta and house wines from Tuscany. 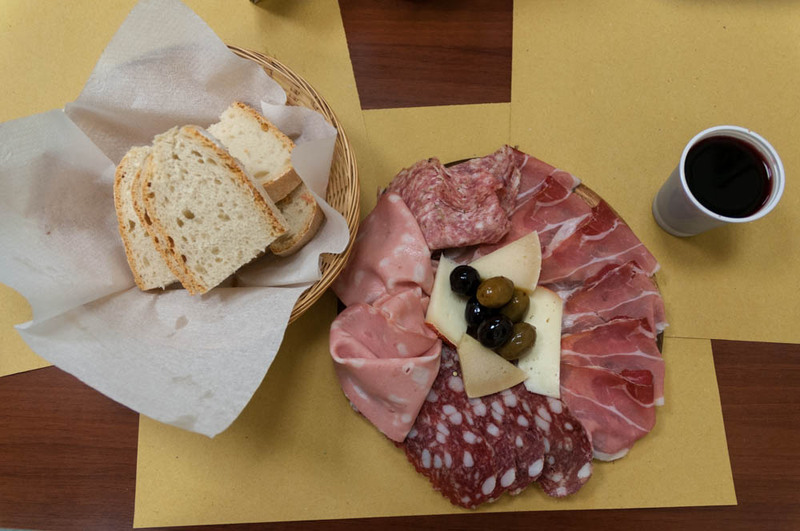 Perhaps my favorite meals, though, were the simple lunches assembled from sliced sausage, cheese, and bread. I stayed in the lovely Hotel Tornabuonio Beacci, an elegant old hotel with a beautiful terrace for sunset views with afternoon drinks, in a convenient location just a few blocks from the Duomo or Ponte Vecchio. Highly recommended! Tea room at Hotel Tornabuoni Beacci.